Laid down, date unknown, as a Maritime Commission type (VC2-S-AP5) hull, under Maritime Commission contract (MCV hull 130) at Oregon Shipbuilding Group, Portland OR. Decommissioned, 31 January 1947 at Norfolk VA. 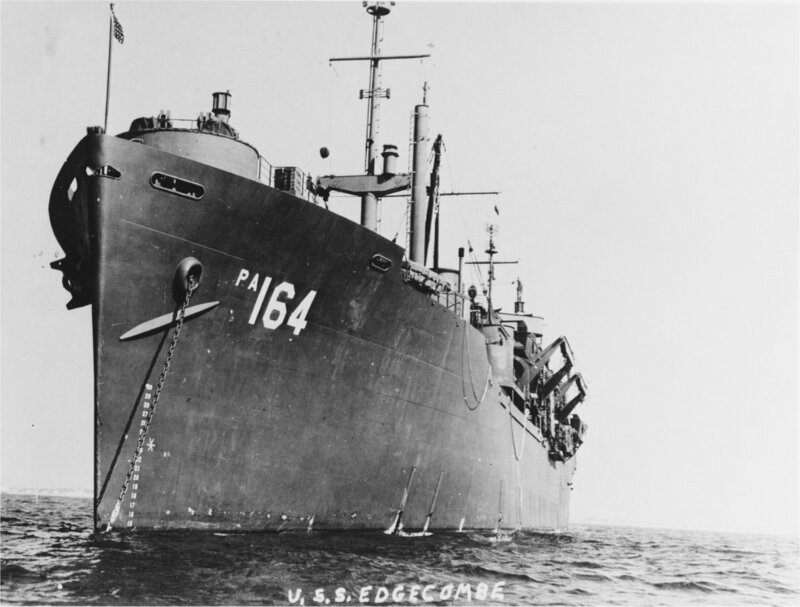 Transferred, 27 November 1964, to the National Defense Reserve Fleet, James River Group, Lee Hall, VA.
142k USS Edgecombe (APA-164) at anchor, date and location unknown.